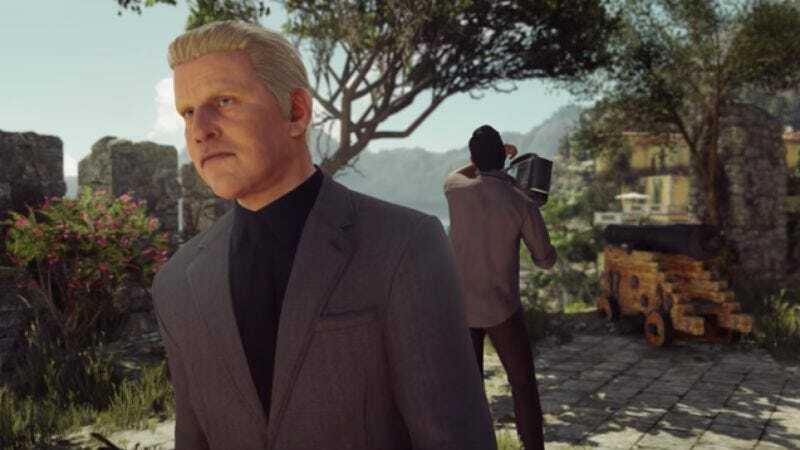 Back in March, game developer IO Interactive released one of the weirder promotional videos in recent memory: It asked fans of its Hitman game to vote on whether or not they’d rather kill Gary Cole or Gary Busey. Obviously, Gary Busey “won” the vote (even though Gary Cole was Ricky Bobby’s deadbeat dad and horrible Initech boss Bill Lumbergh), and now IO Interactive has released a trailer for a limited-time event in which Hitman players can kill Busey. In case you need a narrative justification for why you’re assassinating a celebrity, the trailer explains that Busey’s erratic behavior while filming a commercial has driven the production company to hire a hitman (that’s you) to take him out. The twist is that he’s hidden in a specific level in the game and will only be there for a week, so if you miss this chance, you may never get to kill Gary Busey ever again. If you don’t already own Hitman and want to buy it just for this because you’re a big weirdo, it’s currently available for PlayStation 4, Xbox One, and PC. You can also get more information about this particular assassination target at the game’s official site.